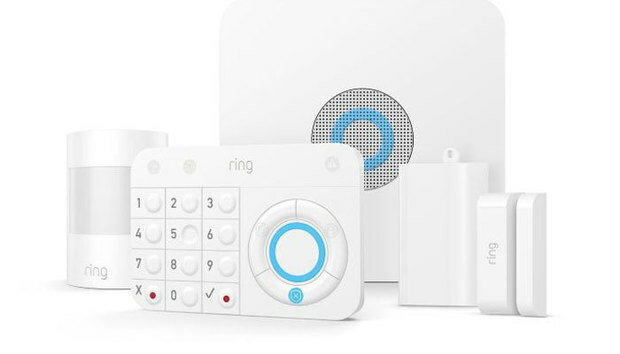 Ring, the video doorbell company Amazon gobbled up last March in a $1 billion acquisition, is finally getting ready to ship its Ring Alarm home security system. The inexpensive ($199) DIY system is available for preorder now, and is expected to ship to buyers on July 4. Ring Alarm will include a wireless base station, a keypad for arming/disarming the system, one Z-Wave door/window sensor, one Z-Wave passive infrared motion detector, and a Z-Wave range extender. That’s a lot of hardware for the price, but most consumers will want more. Fortunately, it looks as though additional hardware will be affordably priced, with door/window sensors priced at $20 each and motion sensors costing $30 each. The basic service will sound an alarm on the base station and send an alert to your smartphone if a sensor is triggered while the system is armed. Ring will also offer a professional monitoring option for a very reasonable $10 per month with no long-term contract. Compare that with the Nest Secure home security system, where you’re expected to pay $19 per month for professional monitoring if you sign a three-year contract, and $29 per month if you don’t. The Ring Alarm home security system will send alerts to your smartphone. Professional monitoring will also be available for $10 per month. Dubbed the Ring Protect Plus Plan, professional monitoring will add LTE cellular connectivity to the base unit, which already has a rechargeable-battery backup. This ensures that the system will remain online if your power and/or broadband service are interrupted. Subscribers will also get cloud video storage for an unlimited number of Ring devices. As with similar services from other home security companies, Ring Alarm will also send an alert to a central office if a sensor is tripped while it is armed. The central office can then contact the police and request that they respond to your location (an agent will call you before the authorities). In addition to incorporating Ring’s video doorbells and security cameras, Ring Alarm plans to offer three other home-security products: A device that will listen for smoke and carbon-monoxide alarms and send you an alert when they’re triggered, a flood and freeze sensor that will alert you to water leaks and freezing temperatures that could damage your home’s pipes, and a supplemental siren from Dome. These accessories will cost $30 each. Ring Alarm looks to be strictly a home security play. While the keypad and base station do support the Z-Wave smart home protocol, Ring has not said if the system can control smart lighting and other types of smart home devices beyond its own cameras and the other products it announced today. In that sense, Ring won’t be able to compete with the more highly integrated smart home offerings from players such as ADT Pulse, Vivint Smart Home, or the various service providers that tap into Alarm.com’s software-as-a-service platform. 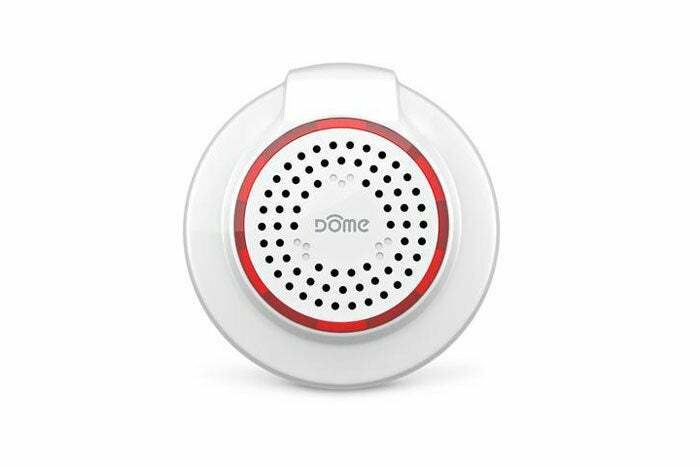 This optional siren from Dome will supplement the one built into the Ring Alarm base station. That could mean that Ring Alarm users won’t be able to have lights automatically turn on when a door is opened, have their smart lock disarm the security system when the correct code is entered at the keypad, or have their smart thermostat shut down the HVAC system if a smoke detector goes off (preventing smoke from being distributed all over the home). But with a $199 starting price and professional monitoring for just $10 per month, none of that will bother a lot of consumers. Technically speaking, this is the second time Ring has offered a DIY home security system for presale. 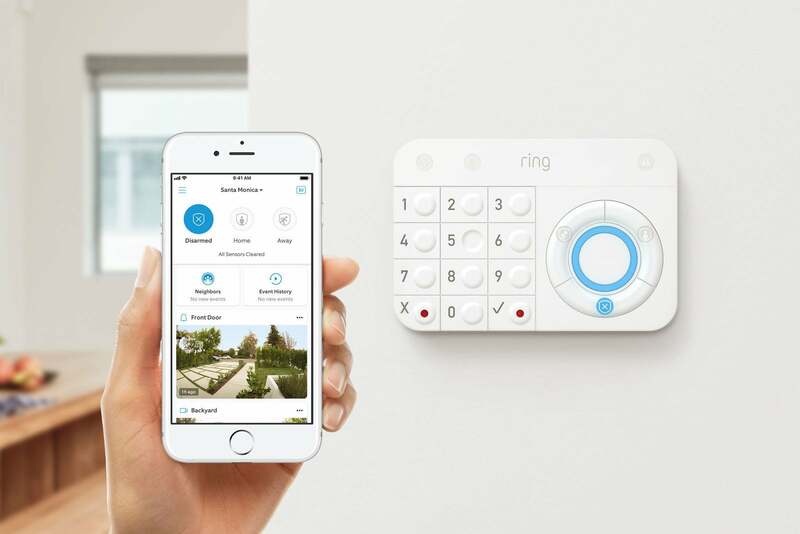 First announced as Ring Protect in October, 2017, Ring’s home security system was delayed by a lawsuit brought by the home security company ADT. ADT had earlier partnered with and invested in a smart home device manufacturer named Zonoff, but Zonoff went belly up before it delivered anything to ADT. Ring ended up hiring most of Zonoff’s staff, including its CEO, and ADT subsequently accused Ring of using intellectual property that Zonoff was supposed to deliver to ADT to build Ring Protect instead. ADT won an injunction against Ring in November, which forced Ring to refund the deposits buyers had put down on Ring Protect during its presale. The two companies settled their dispute in January 2018, with Ring reportedly agreeing to pay ADT $25 million. The name change from Ring Protect to Ring Alarm likely had more to do with preventing consumers from confusing Ring’s home security system with the Nest Protect line of smoke and carbon-monoxide detectors.